In terms of using the indicators in the RadCartesianChart, you will need to add them as you would add any other Cartesian series. Every indicator has a related formula by which it calculates the expected result. All you need to do is provide the needed data. 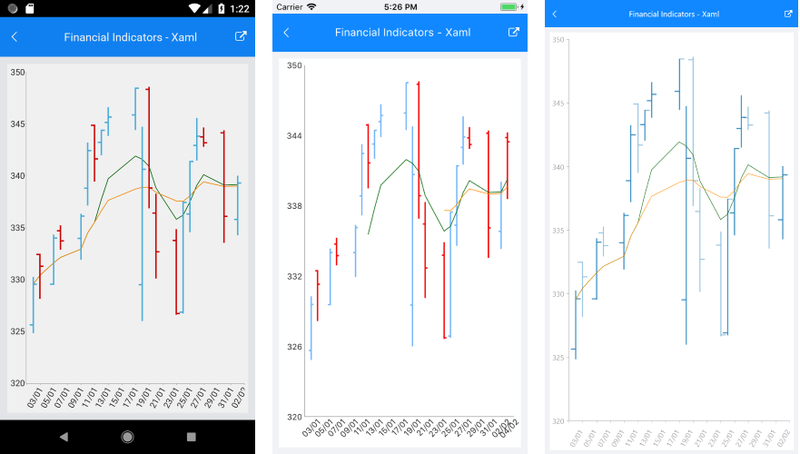 SDK Browser application contains an example that shows how to use the Financial Indicators. You can find the application in the Examples folder of your local Telerik UI for Xamarin installation.